Lois Dworshak was born in Duluth on April 1, 1913. Her parents, Louis and Elizabeth Dworshak, were living in a house at 2129 West Second Street at the time. Her father Louis was a very successful photographer who had moved to Duluth from Appleton, Wisconsin, as a child. He owned the Dworshak Studio at 8 North Second Avenue West, specialized in portrait work, and was described by the Duluth News Tribune as “the dean of Duluth professional photographers.” Her mother, Elizabeth Morton Dworshak, was a pianist and organist who played at many local church and musical events. Lois had brothers Morton, George, and Thomas. She was a cousin of Sen. Henry C. Dworshak of Idaho. Around 1915, the family moved to a home at 3601 East Fourth Street in Duluth. Lois began skating at the age of eight with instruction from Frank Sullivan at the Curling Club in Duluth, where her parents were both active members. She also played the piano and was an accomplished painter. She attended Duluth schools and graduated from Central High School in 1931. Activities in her senior year included tennis team, cheerleading squad, Mask & Wig Club, Pep Club, Girls’ Club and U.S. History Club. After high school, she attended Carleton College in Northfield, Minnesota, majoring in music. Around 1935, she was invited to skate in the Evelyn Chandler show when they were appearing in the Twin Cities. Later, on summer vacation in Duluth, she was contacted by Shipstead and Johnson with an offer to tour in an ice show they were organizing. She became a headliner in the International Ice Follies in the late 1930s, billed as the “Rhythm Girl.” Lois appeared at Duluth’s Amphitheater in February and March of 1938 in the “Ice Follies of 1938” but missed the first few performances when she was sent to St. Luke’s Hospital with a foot infection. Other local skaters touring in that Ice Follies were Ann Haroldson and Ruby and Bobby Maxson of Duluth and Superior’s Bess Ehrhart. 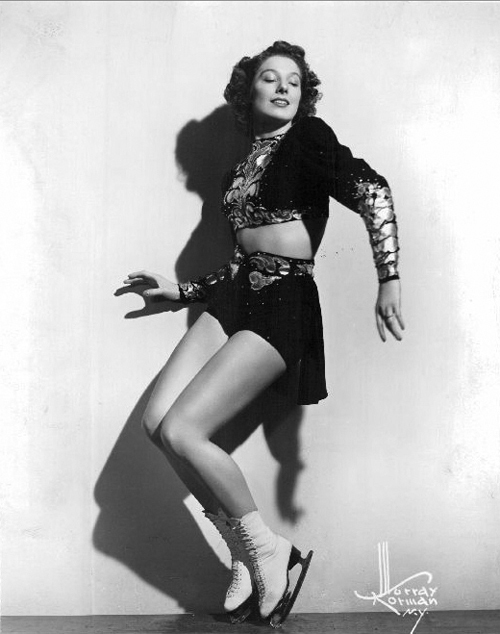 Lois was one of the stars of the first Ice Capades in 1940, touring around the country. She also appeared in two movies about the Ice Capades—Ice-Capades (1941) and Ice-Capades Revue (1942). Lois’s father, Louis, died in Duluth on November 10, 1963. Her mother, Elizabeth, died in Memphis, Tennessee, where she was living with her son, Morton, on March 3, 1965. Lois was married at least twice, first to Ellsworth Simpson in the late 1930s, and in 1960 to William J. Phelan. She died Lois Elizabeth Phelan on May 14, 1988, at the age of 75, in San Bernardino County, California.